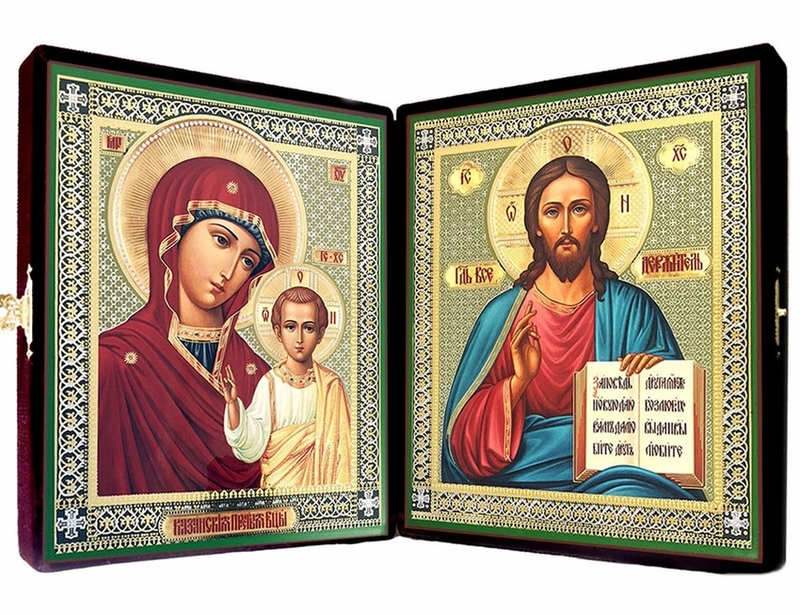 Beautiful Diptych of Orthodox Christian Icons Christ the Pantocrator and Virgin of Kazan in a hand made velvet case. - When opened: 14 3/4". -Thickness when diptych closed including icon and case: 2 3/4"